Life has a way of throwing us curve balls. They hit us in every way, shape, and form: Alopecia, male pattern baldness, cancer, Lupus. There are so many ways we can lose our hair. For both men and women this can be a very sensitive time in your life. I have been in the hair business for 30 years and have been helping people with whatever comes at them. Almost two years ago one of my clients came in and told me she had cancer and was going to have to go through Chemo. We got online right away and found her a wig. When I attempted to order it, I discovered the color ring was outdated and I would not be able to help her. The woman on the phone from the wig company asked why I wasn’t selling wigs. I thought, why wasn’t I? It seemed like a natural progression for me. I did some research and took classes and will continue to educate myself. I firmly believe the company I’ve chosen to represent is top notch. The first thing you need to do when considering a hair solution is to pick up the phone and call a wig expert and schedule a consultation. When you come in for that appointment I take the time to help you make the right choice that will suit you and your lifestyle. I can help you find a product that will look natural and help you get back to feeling like yourself. I am completely at ease helping you get a comfortable fit and a custom cut so when you are wearing your wig you feel confident. I use all the tricks I’ve learned over the last 30 years in custom coloring and cutting hair. Eye color, skin tones, body type are the major contributors to choosing the right solution for you. Do I need a whole head solution or a partial solution? Not everyone needs a full wig and that is where top pieces come in. These come in synthetic or human hair and fit on the top of your head secured by small comb clips. They can give you a full natural looking head of hair. My clients who wear these automatically look and feel younger. It can be truly life changing in a way that you have an instant confidence that may have faded in the past. 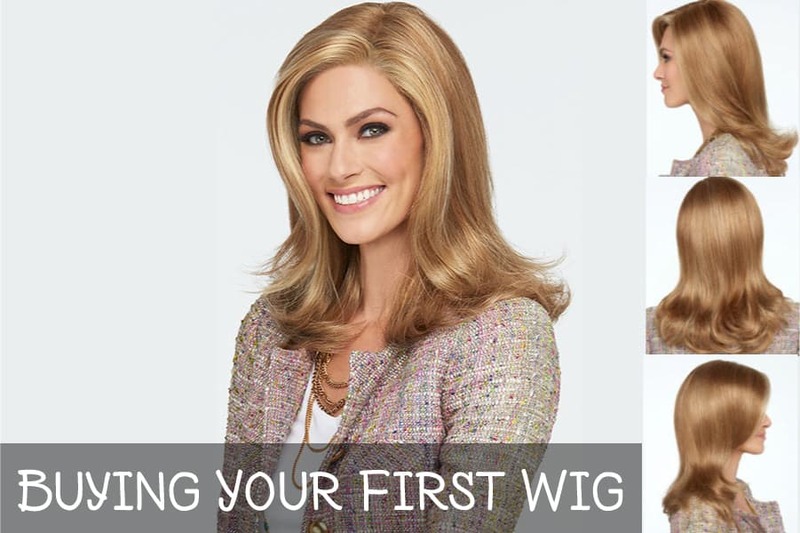 One thing you need to know when getting started is that wigs are like shoes in the sense that you cannot put a pair of shoes on and wear them every day for a year. I encourage my clients to embrace this time in your life. Get a couple of styles and a couple of colors. It is never going to be this easy again to show different sides of yourself. The short sassy you or the long glamorous you. These can be hard times and whether you just want to look as normal as possible or you want a little fun, I would love to help you and will be very sensitive to your needs.